Feature: An adventurous discovery of hidden Laos to sacred area of colorful ethnic group of minority Laos who come from Indonesia and China more than 10,000 years ago. A combination of 4WD expedition, river boat trip and trekking and enjoy the ordinary life of hilltribe people. 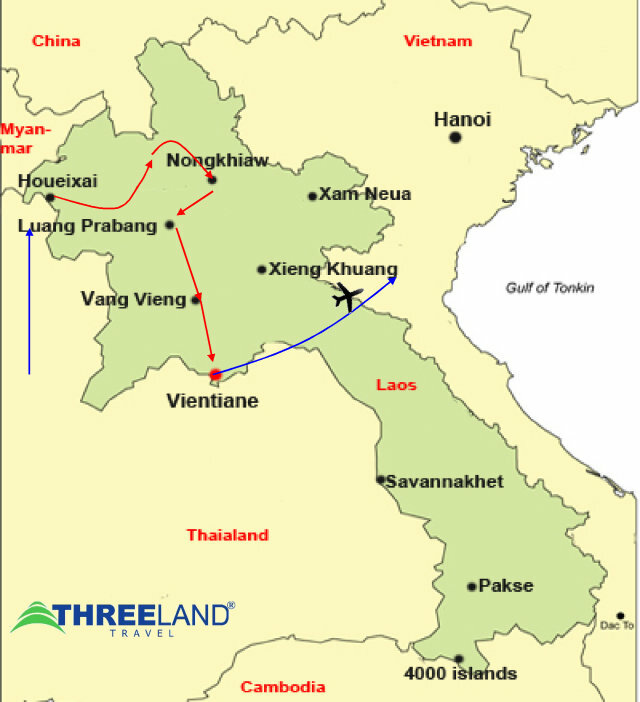 Adventure through the hidden Laos reveals incredible charm of its landscape, history and culture as well as daily lifestyle. Boat down the Mekong river and visit the Hmong hilltribe people. Take a boat trip down the Mekong river and visit the Hmong hilltribe people. Discover the mountainous region of Ban Kioukhan and trek down to Pak ou Cave. Visit the historical and natural sites of Luang Prabang and Vang Vieng. Welcome to Laos - Houisay border gate, embark on boat for the trip down the Mekong river. Stop to visit the Hmong hilltribe people. Leave Pakbeng for the remote mountainous area in Northern Laos with stop to see the villages of minority groups. Overland on off-road to to Muong La and Muangkhua, with visit Pra Xack Kham Temple Khoua, take river cruise down to Muong Ngoy for overnight. A half day trek in the jungles and take the boat trip to Muong Ngoy, relax and enjoy the great landscape of limestone mountain outcrops surrounding the area. Take the full morning trek down to Pak ou Cave then continue the trip to Luang Prabang for overnight. 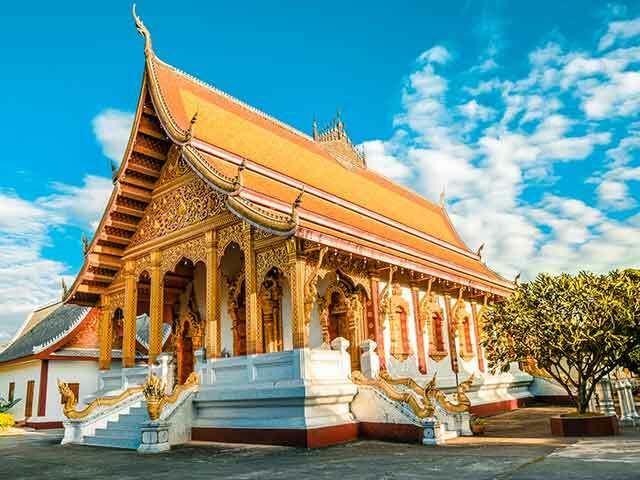 Full day with eay walking tour with visit the National museum and temples or monastery, go up to the top of Mountain phousi and explore the night market. 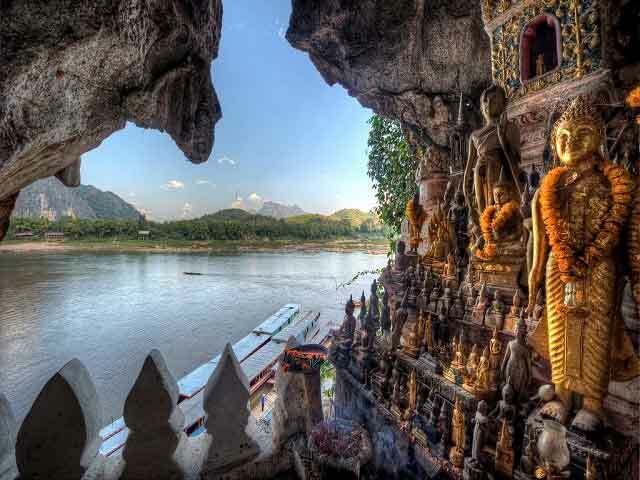 Leave Luang Prabang for Vang Vieng, drive along the winding mountainous, cross the Nam Song river to Tham Jang caves. A full day trek in Vangvieng with Tham Hoy cave and ethnic minority’s village, discover limestone karsts formation. Explore the local lifestyle and enjoy a traditional dance. Take half day driving to Vientiane and have city tours to visit temple Wat Sisaket, Wat Prakeo, That Luang Stupa, Patuxay Monument. Visit the morning market and the weaving village (if time permits), before transferring to airport for onward flight. End of services.